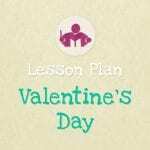 This lesson plan is suitable for children from 2 and a half – 7 years and is 14 pages long, including 6 printables. Tons of spooky fun and musical inspiration rolled into this 35 minute session with pumpkins and witches, bats and ghosts galore! There is so much spooky fun and musical inspiration rolled into this 30 minute session with pumpkins and witches, bats and ghosts galore! 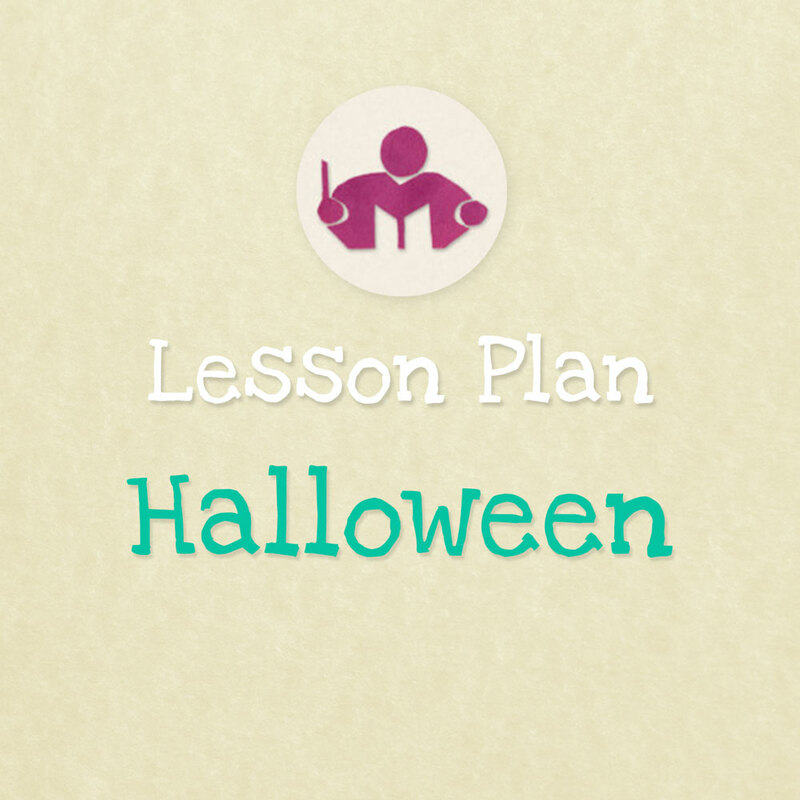 This lesson plan is suitable for children from 2 and a half – 7 years and is 14 pages long, including 6 printables. Singing, recognising the steady beat, tapping rhythms. 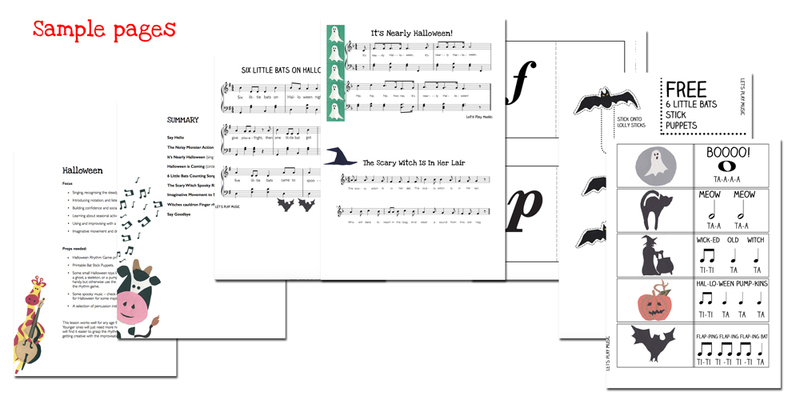 Introducing notation, and listening skills. Building confidence and social skills. Learning about seasonal activities and customs. Using and improvising with a variety of percussion instruments. Imaginative movement and dramatic role play. These plans are not intended to read as a script, as everyone will have their own teaching style. More, I hope that they will provide you with in-depth guidance for a number of related activities that I have found in my years of teaching to be particularly effective and engaging combinations. 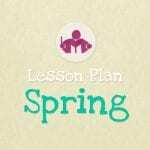 I have purchased every lesson you have available and LOVE them all!! I lead music classes for toddlers and preschoolers and I love how each of your lessons builds on each other. They are easy to adapt for the different ages. The parents of my students love that their kids are learning early music education while having a blast and that the kids go home and sing and stomp out rhythms. I would highly recommend your plans to everyone. And I look forward to seeing the other lessons.